Located in church-owned buildings, our faith-based model of Success in Aging Centers™ is functionally the same as our other models, but with added “Faith Fridays”: spiritual programs designed and delivered by the church home’s pastoral staff. Success in Aging Centers™ help older and much-older adults maintain dignity and provide opportunities to improve mental acuity, physical recreation, and an important social structure with age-equivalent peers that isolated seniors many times lack. Licensed, well-branded, trademarked, market-researched, staff-trained and turn-key ready for churches to offer to their families-of-faith who care for or are involved in the lives of aging loved ones! Success in Aging Centers™ will provide templates for pre-launch application process with families, initiate print and radio advertising campaigns, and negotiate strategic alliances. Success in Aging Centers™ Inc. will license your Center, offer yearly updates, and RCFE-train your staff in gerontologically-sound social adult day programs to efficiently manage and run the day-to-day operations. 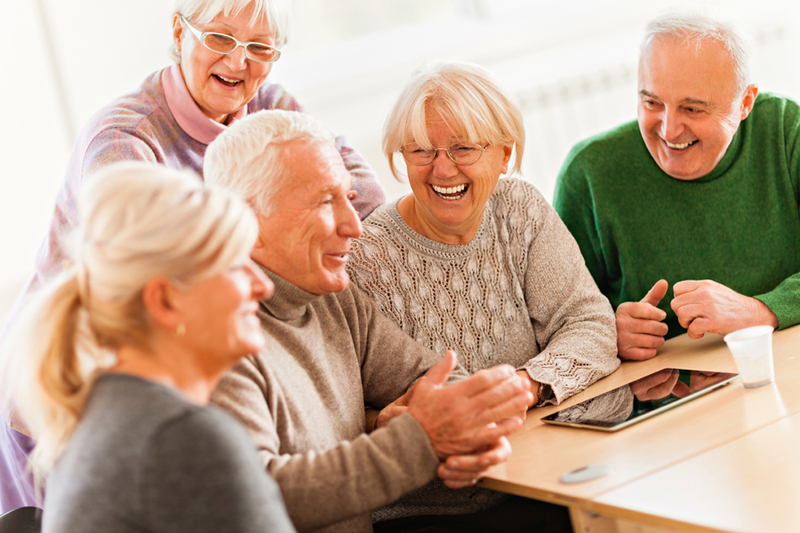 Success in Aging Centers™ help older and much-older adults maintain dignity and provide opportunities to improve mental acuity with brain games, enjoy recreation and learn fall prevention, and join other age-equivalent peers in activities in an social structure that isolated seniors many times lack. Success in Aging Centers™ will provide templates for pre-launch application process with families, initiate print and radio advertising campaigns, and negotiate strategic alliances. Trademarked, well-branded, market-researched, and turn-key ready for small business owners to market to the local community who care for aging loved ones! Success in Aging Centers™ Inc.will license your Center, provide yearly updates, and RCFE-train your staff in gerontologically-sound social adult day programs developed specifically for understanding and uplifting the five aspects of normal human aging and caregiving: the biology, psychology, sociology, ethics and lifespan development of aged 60+ adults. Success in Aging Centers™ partner with local non-profit senior meal companies to access nourishing food services. Licensed, trademarked, well-branded, market researched, staff-trained and turn-key ready for non-profits to offer to their clients and employees who care for aging loved ones! Success in Aging Centers™ will provide templates for pre-launch application process with families, initiate print and radio advertising campaigns, and negotiate strategic alliances. Open a well-branded and trademarked, market-researched, turn-key business in the booming Aging Marketplace. In our licensing agreement, our Management Team (Gerontologist/Programs, Builder/Property Management, Marketing Director, and Program Director) will oversee set-up of your Center, train your staff, and provide templates for: day-to-day management, brand-wide gerontology-based day programs, marketing tools, on-going RCFE training, nutrition plans, activities, safety and disaster preparedness compliance, OSHA training, family education classes and yearly updates. Di Patterson, MSG, CPG, is a noted Gerontologist, featured speaker at Aging events, popular workshop leader, prolific writer and author. She created Success in Aging TV® and is a pioneer in utilizing technology for promoting success in aging. She won the 2008 National Mature Media GOLD Award for TV show, Policy Makers Speak, and , 2009, 2010 and 2011 Awards in New Products and Technologies for her websites: SuccessInAging.tv and SeasonOfLife.net . As a Practitioner, Di advises families with elders in the biology, psychology, sociology, ethics and lifespan development aspects of Aging. Offering expertise in both large and small family dynamics in a myriad of topics relevant to today’s elders and eldercare, she truly understands the needs of active and frail elderly, professionally and experientially. As an Aging Marketplace Consultant, Di Patterson offers her clients sound business strategies for the senior market; based on timing, trends, and demand for their products and services. She educates managers on today’s seniors and the upcoming boomer-to-senior demographics. Di focuses company leaders on development and implementation of project mission, vision, and goals. She develops customized marketing plans, with traditional and web options. Very importantly in today’s business culture, Di provides introductions and networking opportunities in the Aging network. Success in Aging Centers™ is a new model of adult day program (ADP) centers for older and much-older adults, offering supervised social and educational activities, including daily exercise, good nutrition, social interaction, special events, music, art, and guest speakers. Success in Aging Centers™ welcomes those with mild cognitive impairment and/or physical disabilities, as well as seniors needing more stimulation during the day. Success in Aging Center™ serves its older adults with mentally, physically and artistically stimulating activities run by enthusiastic staff and well-trained Aging professionals who strive to preserve the dignity and independence of older adults, as well as support and education for their caregivers and family members. In Success in Aging Centers™, the emphasis is on person-centered care, choice and independence. Although the challenges are different, the concept is the same as child daycare centers: a warm, nurturing atmosphere in large, well-lit, clean rooms with nutritious meals and snacks and staffed by trained and caring elder-caregivers. Families can have more normalized home lives (the basis of successful families) when the older adult has a normal social day experience along with proper nutrition, a positive atmosphere, and daily exercise. Success in Aging Centers™ emphasize the high quality of its RCFE-licensed staff and personal passion for the aging senior community. Gerontologist-developed programs and activities represent Success in Aging Centers™ as a valuable resource for the community in all facets of senior day services and education.